One thing that will impressed you in Kuantan was the Sultan Ahmad Shah Mosque. 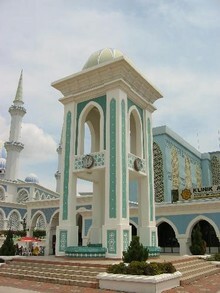 It is right in the centre of the town. It has blue and white decoration with marble interior and blue and yellow stained glass windows. It was amazing that the mosques were so beautiful with such intricate detail, when the rest of the buildings in town looked very run down. 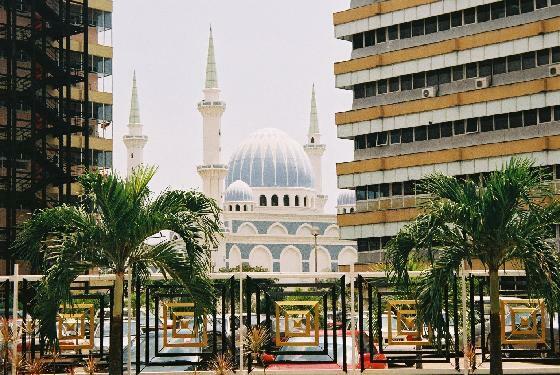 The region around Kuantan is renowned for the traditional Pahang crafts of weaving, woodcarving and batik. 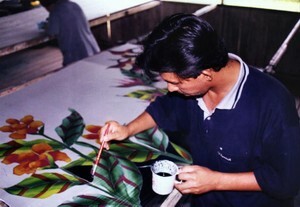 The Pahang Silk Weaving Centre in Palau Keladi, Pekan, demonstrates the intricacies of silk weaving, while at Beserah the Batik Cottage is located where visitors can view the production of batik. About a mile west of Kampung Sungai is the Souvenir Centre selling shell crafts and local gemstones. A museum is the focal point for education and sharing information pertaining to the country's rich history, culture and traditions, as well as its natural heritage. It is also a place where important relics of the past can be stored and cared for. 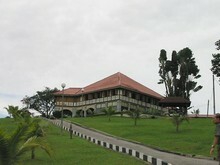 Pahang has a few such museums. 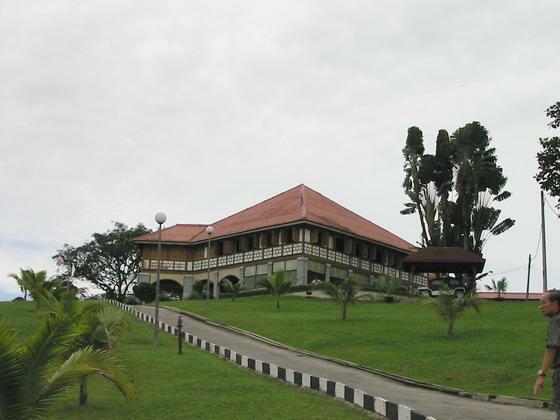 The main one is the museum in the royal town of Pekan. The newest museum is at Sg. Lembing, it has a fascinating collection of relics from the tin mining days. In its heyday Sg. Lembing was one of the largest and deepest tin mines in the world.